Bass Tyler Putnam is quickly gaining national recognition as an important young opera singer. 2016 engagements include José Castro LA FANCIULLA DEL WEST with Opera Omaha, Chief of Police EVANGELINE with The Longfellow Chorus and Luther Billis SOUTH PACIFIC with St. Petersburg Opera. In 2015 he returned to The Santa Fe Opera as an apprentice where he sang the role of Thomas COLD MOUNTAIN and appeared in RIGOLETTO and SALOME. “Tyler Putnam sang with knowing power as the Second Soldier” – Opera Today. He also created the role of Kobun for the workshop of THE (R)EVOLUTION OF STEVE JOBS by Mason Bates which will debut at Santa Fe Opera in 2017. Other roles that season included Bartolo FIGARO 90210 with Dartmouth College, Sarastro THE MAGIC FLUTE with both Raylynmor and Salt Marsh Operas, The Imperial Commissioner MADAMA BUTTERFLY with Salt Marsh Opera, the Monk DON CARLOS with Sarasota Opera and a debut with the Omaha Symphony as the bass soloist in Dvořák’s STABAT MATER and Handel’s MESSIAH. In 2014 he covered the role of Rocco FIDELIO at Santa Fe and sang Ceprano RIGOLETTO with Opera Omaha. 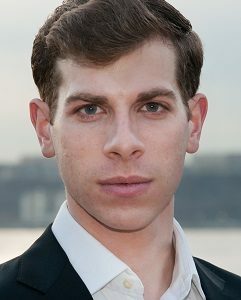 He garnered critical reviews as the title role in Carlisle Floyd’s MARKHEIM with Little Opera Theatre of NY. Mr. Putnam also joined Sarasota Opera as a Studio Artist covering Ferrando IL TROVATORE, Don Basilio THE BARBER OF SEVILLE and the Papal Legate in Verdi’s JERUSALEM. He ventured into the New York “indie opera” scene singing the role of Mr. B in Yoav Gal’s new opera THE DWARF directed by Doug Fitch. No stranger to musical theater, Mr. Putnam performed Macheath THE THREEPENNY OPERA with the Princeton Festival, and at the New London Barn Playhouse in New Hampshire, Kodaly SHE LOVES ME, Evelyn Oakleigh ANYTHING GOES and Franz Liebkind in Mel Brooks’ THE PRODUCERS. Other musical theater experience includes Terry Connor SIDE SHOW, Mr. Mushnik LITTLE SHOP OF HORRORS, Young Joe DAMN YANKEES, Pangloss CANDIDE and Harold Hill THE MUSIC MAN.